Even if the stock market seems to be tipping into bear territory, healthcare investors may still be in the full gallop of a bull economy. According to new reporting by PwC, the third quarter of 2018 continued the streak of at least 200 deals each quarter since the end of 2015. Pleasantly, or surprisingly, there have been at least 250 quarterly deals since Q3 of 2017. Despite the glowing report, it’s not all roses in healthcare for investors. The quarter saw the fewest number of deals in a quarter since Q1 2017 and there were declines in value compared to both the previous year and quarter. Long-term care was the most active sub-sector with 102 deals. Despite the dip in total deals, the current landscape doesn’t mean we’re headed into recession-like territory. 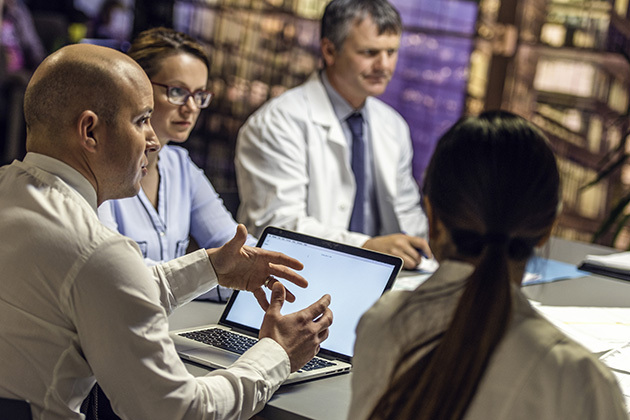 Thad Kresho, U.S. health services deals leader at PwC, said that interest remains high among acquirers with those buyers looking to "further their connection points with their constituents." "Buoyancy is fueled by increasing private equity interest, as well as non-traditional entrants, such as retail and tech-enabled companies. Interest of these participants range across many sub-sectors," Kresho told Healthcare Dive. Of the deals, there were 261 in healthcare in the third quarter and deal volume increased 0.4 percent compared to a year ago, but was down more than 10 percent from the previous quarter. The total value of deals fell — to $15.9 billion. That’s a 36 percent decline compared to the previous quarter and 10 percent lower year-over-year. For some perspective, the fourth quarter of 2017 saw $100 billion. The first quarter of this year saw $72.6 billion. "The industry's major ongoing themes of regulatory uncertainty, income pressure, technological innovation and consumer-centricity continue to drive interest in deals," PwC said. The largest deal of the quarter was the RCCH HealthCare Partners purchase of LifePoint Health. The $5.6 billion transaction continued the hospital sub-sector's average of one megadeal per quarter, which stretches back to 2015. Another transaction north of $1 billion was UnitedHealth Group's purchase of 80 percent of Genoa Healthcare. PwC said they saw the largest value declines in physical medical groups and managed care. Physician medical groups’ volume dropped 30 percent and value fell by 97 percent. PwC said the slow quarter is not the start of a downward trend in that sub-sector, though. It's likely an outlier. Managed care volume dropped 25 percent. Regulators have been "leery of mergers over the past couple of years, but there are fewer roadblocks for vertical deals." The managed care M&A activity will likely be in growth areas, such as Medicaid and Medicare Advantage, and insurers will likely continue to look beyond their sub-sector and seek out opportunities in areas like pharmacy benefit management and long-term care companies.